Sedans—boy, remember those? Everybody used to have one. Toyota either didn’t get the memo about the death of the passenger car or it chose to ignore it. 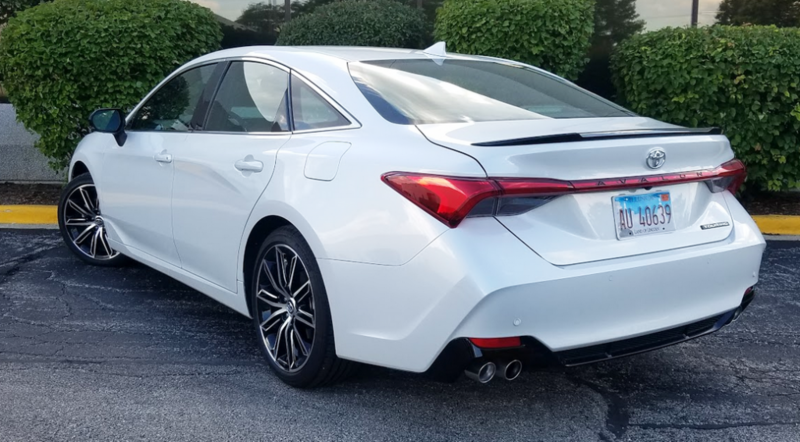 For 2019 it is pressing on with a new generation of the Avalon, the king-size Camry that tops the automaker’s still-extensive collection of sedans, hatchbacks, and coupes. The rear view of the new Avalon is a bit less controversial than its gigantic-grille front visage. 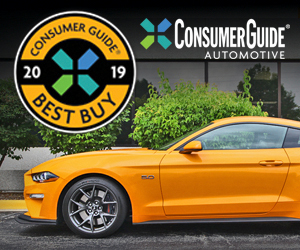 A slick sloping roofline, full-width taillight panel, crisply sculpted body lines, and sporty exhaust outlets are among the eye-catching details. In the process of renewing the Avalon, Toyota is making it bigger and more powerful. The ’19 car is almost four inches longer than its predecessor, with a wheelbase that grows by nearly two inches. It’s lower and wider, too, and boasts added rear-seat legroom and a little bit more trunk capacity. Both available powerplants, the gas V6 and gas-4-cylinder/electric hybrid, have more horsepower, and the V6 is newly paired with an 8-speed automatic transmission. The top-line Touring trim level has an understated yet classy interior with some appropriately sporty touches. The center-stack controls are grouped in an attractive panel that rises from the center console. The rear seat is spacious enough for average-sized adults to ride in comfort, though extra-tall passengers might want a bit more headroom. Consumer Guide editors tried out a “sporting” 2019 Avalon Touring, which by price is the top tier of the four V6 offerings (by just $400 more than the luxury-leaning Limited). It is the only trim level not available in a hybrid version. In addition to the aforementioned powerteam, the Touring gets its sportier vibe from 19-inch black machine-finished alloy wheels, 235/40R19 rubber, sport-tuned suspension and adaptive variable damplng, active noise control and “Engine Sound Enhancement,” aluminum interior trim and pedal covers, a mesh-surface piano-black grille, a decklid spoiler, and dual exhaust with quad chrome tips. The Avalon’s trunk offers 16.09 cubic feet of space–decent, but not a marked improvement over most midsize sedans. Other equipment in the $43,120 starting price (with delivery) includes Ultrasuede-and-leatherette upholstery. Eight-way-powered front seats are heated and ventilated; rear seats and the power-adjustable leather-wrapped steering wheel are heated. There’s a memory function for the driver’s seat, steering wheel, and external mirrors. LED headlights and taillights, power moonroof, dual-zone automatic climate control, and keyless access and starting are standard as well. 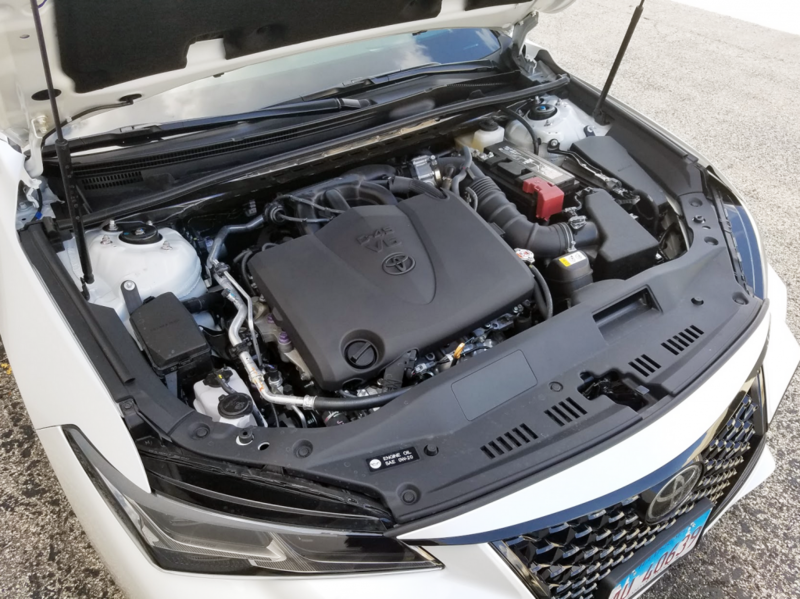 Standard on all non-hybrid Avalons is a smooth 301-hp 3.5-liter V6. Infotainment is handled by a 14-speaker Entune 3.0 audio system with navigation, satellite radio, Entune App Suite, and Toyota Connected Services, all of which can be displayed on the accompanying 9-inch touchscreen. The system newly incorporates Apple CarPlay smartphone functionality (though not Android Auto compatibility) and Toyota’s Remote Connect feature with Amazon Alexa car-to-house and house-to-car connectivity. There’s also a Wi-Fi hotspot, 10-inch color head-up instrument display, and Qi wireless charging. The complement of safety technologies features the Toyota Safety Sense P group—forward-collision warning and mitigation with pedestrian detection, lane-departure warning and mitigation, adaptive cruise control, and automatic high beams—plus blind-spot and rear cross-traffic alerts. 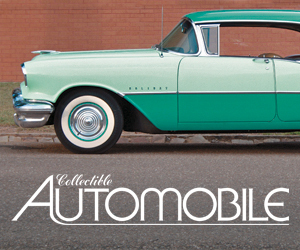 The test car reached its full price of $44,913 with a trio of extras. The combined cost of special Wind Chill Pearl paint and carpeted mats was dwarfed by the $1150 Advanced Safety Package with “Intelligent Clearance Sonar” (to help avoid collisions at speeds below 10 mph), rear cross-traffic automatic braking, and a 360-degree overhead-view camera. EPA fuel-economy ratings for the V6 are 22 mpg in the city, 31 mpg on the highway, and 25 combined. For whatever reason, this tester coaxed just 17.7 mpg out of a run of 120 miles. City-type driving accounted for 70 percent of that distance, and power-tempering ECO mode was employed for a little of his drive. Here’s hoping that if you choose to become an Avalon owner your mileage may vary. 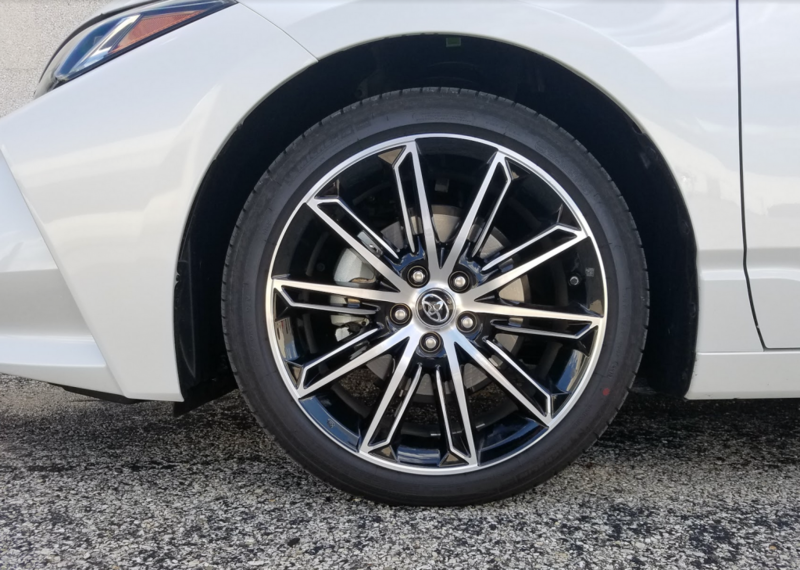 Nineteen-inch alloy wheels are standard on Avalon XSE and Touring models. The test car also demonstrated that the Avalon’s comfortable and quiet ride comes from a gene that does not skip generations. With the sportier settings called up—there are also changes to the variable damping and steering efforts—the ride firmed up slightly for an even better sense of car control but still without jostling passengers. Handling is secure, though not sport-sedan sharp, and stopping power from the 4-wheel disc brakes is confidence inducing. Passenger room and seat comfort are quite good up front. The rear seat holds out hope for 3-abreast adult seating—a wide but low floor tunnel helps there—but headroom seems tight for taller passengers. There are no such qualms about legroom in the spacious outboard positions. Doors open wide for easy ingress and egress. Driver vision is fine to the front and rear thanks to thin roof pillars, but a little less so to the sides, where door posts are thicker. Avalon Touring passengers enjoy generous expanses of vinyl and Ultrasuede on the doors and dash. Audio controls are easy to master, thanks to external volume and tuning knobs, and eight physical buttons. The bank of climate controls consists of repetitive-push buttons, even for temperature settings. Interior storage up front consists of a wide but short glove box, door pockets, a fairly large covered console box with an adjustable tray, and two open cup holders. The floor of an exposed bin at the front of the console slides open to reveal the Qi charger. Rear passengers get door pockets, pouches on the backs of the front seats, cup holders in the pull-down center armrest, and seat-heat controls and USB charge ports built into the back of the console. Trunk room is ample, and the opening is wide. Gooseneck hinges intrude on the available space, but they are covered to protect cargo. Not every large sedan has folding rear seats, but the Avalon does. Still, when retracted the 60/40-divided seats rest a few inches above the level of the trunk floor, and a substantial bulkhead further restricts passage into the interior. The Avalon Touring brings a level of luxury to go with its sportier feel, but at almost $45,000 as tested, it’s bumping up against some genuine luxury cars. If you think that’s too much to pay, note that the Avalon XSE has the Touring’s core performance items—save for the adaptive variable suspension—but fewer luxuries. It is 66 pounds and $4200 lighter. 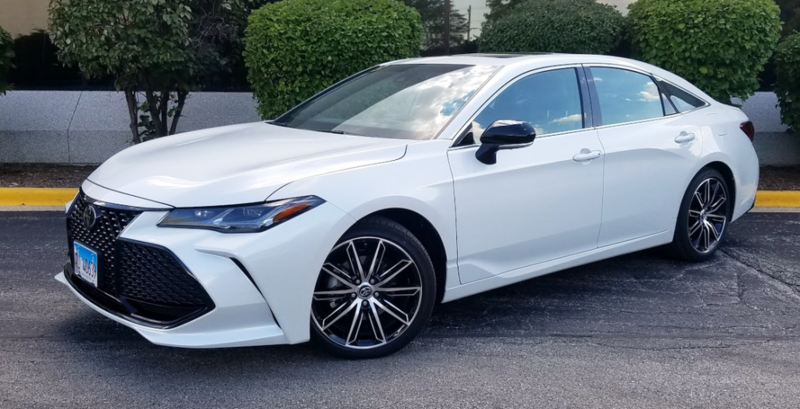 Compared to the average midsize sedan, the redesigned-for-2019 Toyota Avalon offers a little bit more of everything… more space, more power, more luxury, and, for better or worse, more style… all at reasonable prices. Written by: The Daily Drive staff on October 19, 2018.on October 22, 2018.